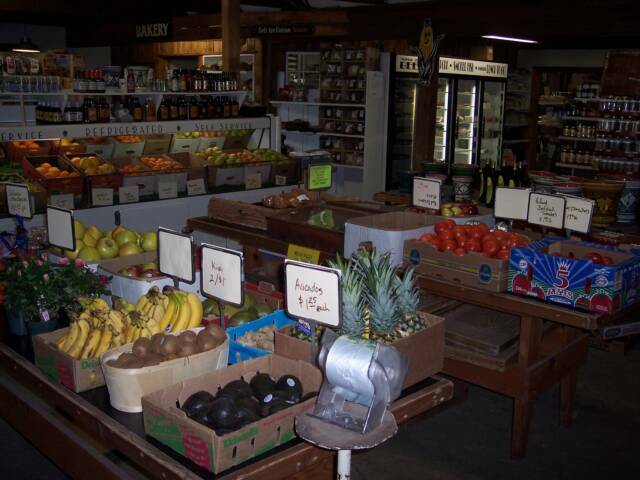 We offer a full line of homegrown, local, and imported produce. 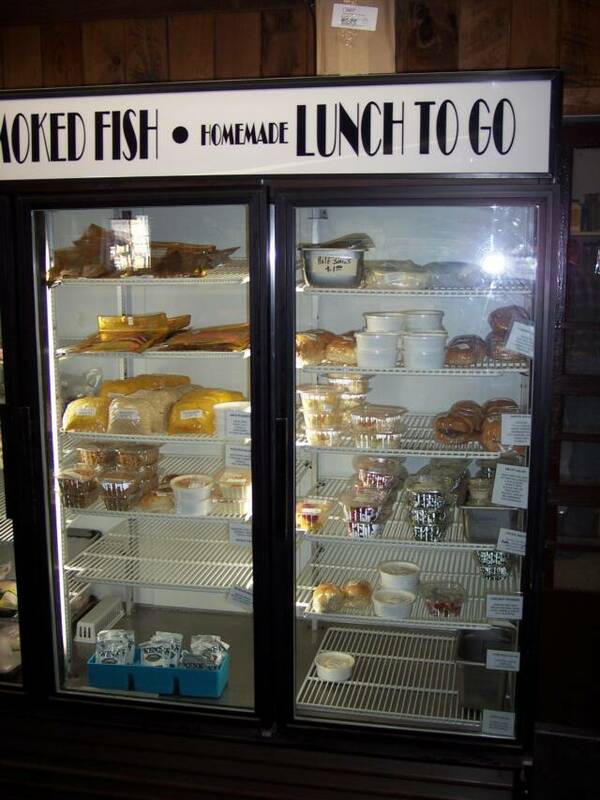 Our delicious food to-go and homemade soups are made in-house with fresh ingredients. 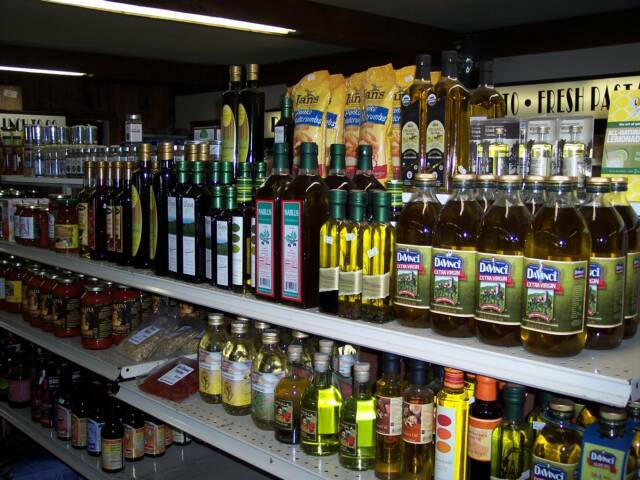 Specialty foods include a variety of oils, sauces, rice, and spices. Our original stand was on the small side. Our farm stand is located at the north end of Stone Ridge New York at the corner of Cottekill Road and Route 209 (or,“the junction of anywhere and everywhere,” as one customer calls it). The stand has been in operation here since the early 1960s, and two of our employees, Tony Baptist and Elvis Reed, have worked for us for over thirty years. We open at six a.m. and in full season, close at seven p.m., serving the early breakfast crowd, the after school snackers, and the what’s-for-dinner folks as well. The atmosphere here is casual and congenial, qualities our customers seem to appreciate as much as our products. We offer a large selection of our homegrown produce, but also sell baked goods, delicious homemade soups, Catskill Mountain Coffee Roasters coffee, a variety of home-made lunch items, locally grown beef, organic baking supplies, organic bread, gourmet foods, and a variety of cheeses. Produce specialties change with the seasons; in spring, look for our large variety of greens, in summer, bins of just-picked sweet corn and heirloom tomatoes, and in fall, local apples, pumpkins, and gourds. How far has your food traveled to reach you? At our farm stand, you won’t have to guess. All the produce we sell is clearly marked by region of origin. The law states that produce must be labeled with country of origin, but we go one step further. Our produce is marked "homegrown" if we've grown it right here on our farm, and "20 mile" if it's grown locally (which also means the produce was either picked up at the farm or delivered fresh by the grower). 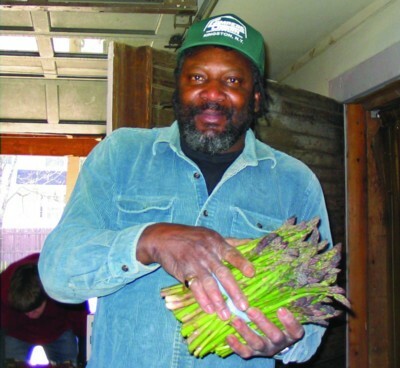 A sign marked "150 mile" indicates that it was grown in the northeast, probably in central New York or New Jersey, which generally indicates that it has taken an overnight ride from the farm to a regional farmers market or a produce distributor before we pick it up or have it delivered to our farm stand. 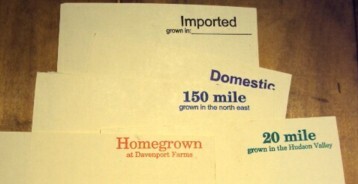 "Domestic" produce comes from farms in the United States. 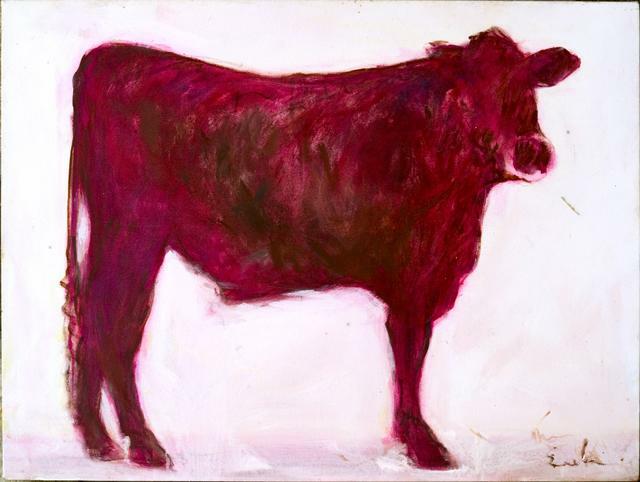 The beef we sell comes from Twilight Acres Farm where our good friends Arnold Elliot and his wife Pat raise what our butcher calls "some of the best meat I ever cut." Many of our customers agree. Twilight Acres cattle are pasture raised, antibiotic and hormone free, and fed corn grown on the farm. And because Twilight Acres is just half mile from our farmstand, it's about as locally grown as it can get. "Imported" means the produce comes from farms outside the United States, and is marked with the country it was grown in. We make a special effort to source our produce as locally as possible, both to support local farms and to offer our customers the freshest products available.